There is no compromise with workplace hygiene in food preparation industry. Alsco helps you maintain the superb levels of hygiene by supplying you with industrially washed and perfectly sanitary linen, wipes and catering workwear, right to your door step. That’s not all. We also offer floor mats, washroom and first aid services to boost the hygiene and safety of restaurant and catering businesses across New Zealand. Alsco thinks about every detail of your workplace, just like you. The spotless, crisp-clean white table linen is what New Zealand restaurant goers want to see upon entering your establishment. Your brand and your restaurant image depend on that impression. Maintaining fresh and perfectly clean linen when food is involved is not an easy task and that’s why you should let Alsco do it for you. Pick the elegant and high quality linen from Alsco’s offer to match your restaurant theme. It will be washed, ironed and delivered to your restaurant in time. A smiling face and a spotless uniform are two things that your customers want to be welcomed with into your restaurant. Fresh, clean and sanitary catering and food preparation uniforms are a matter of your restaurant image and your workplace safety. Alsco New Zealand offers high quality workwear for both kitchen and catering staff. Our uniforms provide safety and meet high food industry standards. 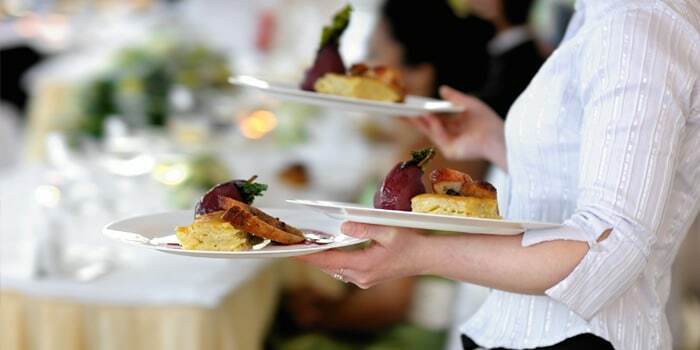 Good presentation is a vital part of any restaurant and catering business. So you may want to consider the difference a personalised or message mat could make to welcoming your customers and enhancing the branding of your restaurant. That’s not to mention the protection our mats can offer your high traffic entrance area against floor wear and tear and build up of dust and dirt. Alsco Non Slip Mats can be a great addition to areas where spills happen such as kitchens while Anti Fatigue Mats are beneficial for staff where they are required to stand for long periods. With all the knives, sharp objects, boiling water and hot oil, kitchen area is a place where accidents are abound to happen. That is why you need to be prepared so you can keep your employees safe. Alsco New Zealand offers First Aid Kits, specially tailored to the needs of a restaurant kitchen. We also offer Eye Wash Station to deal with liquids, bits of food and other items that can find their way into eyes of your staff. For emergencies, there is Alsco’s Automated External Defibrillator in case someone of your staff or customers suffers a cardiac arrest. Emergencies don’t wait for anybody. If there is a spill that needs to be contained, a person who is showing the symptoms of a cardiac arrest or somebody needs the first aid kit immediately, you need to be prepared. As a business owner of a Restaurant or a Catering service, you are responsible for the safety of your staff and your patrons. Ensure they have First Aid Kits, Portable Defibrillators and Spill Kits available at all times. Contact Alsco New Zealand and rent them out. Fresh & Clean Managed Hygiene and Washroom Rental Programs are a necessity for any New Zealand restaurant and catering business because it is the only way to prevent illnesses among your staff and your customers. That is a risk that nobody can afford. Alsco’s washroom hygiene solutions are practical and efficient, but that doesn’t mean that the visual appeal has been forgotten. Our soap dispensers, hand-drying systems, feminine hygiene and odour control elements are sleek and stylish and they add to your workplace washroom design.